How do I buy a Justin's Barbershop Franchise? GREAT THINGS MULTIPLY. JOIN THE JUSTIN'S BARBERSHOP FRANCHISE FAMILY. Justin's Barbershop has surpassed expectations and goals and has become a thriving, well-known and trusted brand. With 5 locations, the owners have acquired the knowledge and skills necessary to develop an effective training system with which to expand on an even larger scale. Justin is seeking prospective business owners who embrace the quality, culture, and standards Justin’s Barbershop has come to represent. Repeat this simple business model for a recession-proof business in the booming men's grooming industry. 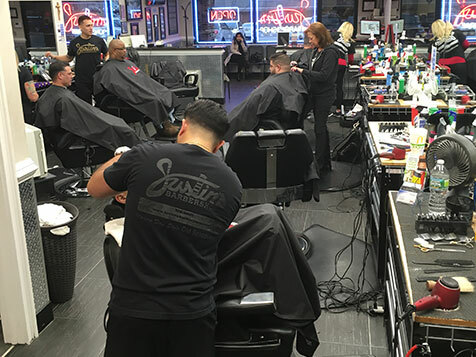 Make your own schedule and learn more about owning a Justin's Barbershop franchise today. Open Justin's Barbershop in any of these available states: CT, DE, FL, GA, MA, NJ, NC, PA, SC, DC. A REAL BARBER WITH REAL PASSION. Justin, founder of Justin’s Barbershop ® starting cutting hair in his parent’s garage at age 13. 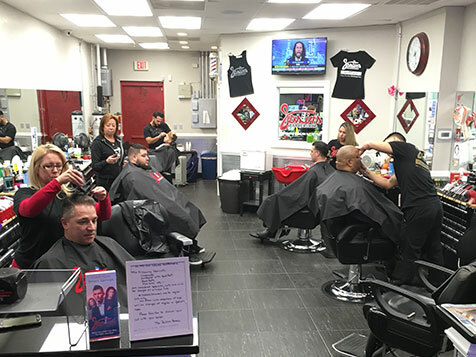 Today, Justin’s Barbershop ® offers traditional barbering services including regular haircuts, straight-razor shaves with hot towel service, line art styles, shampoos and coloring for men, women and children haircuts cuts and more. All offered in an upscale, family-friendly and contemporary environment. Justin’s Barbershop ® attracts a diverse set of clientele with ages ranging from toddlers to senior citizens and from all walks of life. Justin starting cutting hair after a friend complained about getting a lousy haircut. He took a chance and found that he had a knack for cutting hair, which quickly developed into a passion for learning the craft. 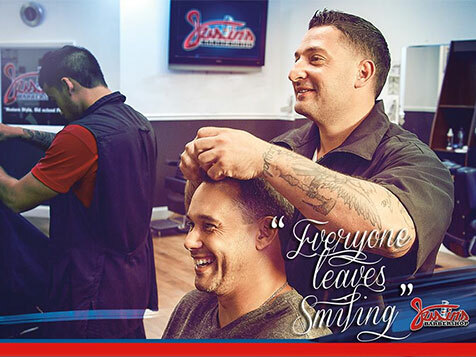 With a dream of owning his barber shop, Justin opened his first Justin’s Barbershop ® in 2005. Soon thereafter, Justin partnered with brother Tim, co-founder of Justin’s Barbershop ® to expand the Brand. The brothers opened their 2nd location in 2007 and opened 3 more Justin’s Barbershop ® locations since 2011. With 5 successful locations the Justin’s Barbershop ® Brand is expanding even further while keeping a strong commitment in producing top quality haircuts and customer service at a competitive price. People will always need haircuts. Men’s Grooming is Booming. In 2014 sales for men's personal care in the US exceeded $4 Billion growing at an average rate of 3.8% per year. Book Appointments Better with more choices for clients. Offering New Tech Savvy Features like our Web and Mobile App scheduling systems and our traditional “walk in” at any time commitment. Extensive tested and proven barber/receptionist/manager/business owner training. Financial benefits of a residual income model in fast-growing, recession proof industry. Single, Multi-unit, Conversions and turn-key options available. Join the Justin's Barbershop franchise family today. Justin's Barbershop is not currently active in our directory, but here are some other recommended selections for you to explore.